123Reg is a provider of various low-cost packages in website hosting based in the UK. They offer extremely high speeds, unlimited bandwidth and expert and prompt customer support, so that your website continues running without a hitch 24/7, however busy the traffic may be. 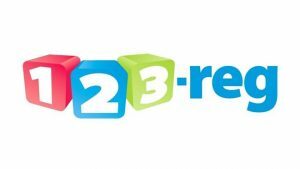 123Reg accommodates all types of projects whether they are online shops, small businesses, hobby websites, or community groups. You will also have abundant storage space for potential future expansion; all packages come with a minimum of one database, so that you are able to install as well run scripts such as WordPress, photo galleries, e-commerce, or anything else that you need, and every website comes with an easy to use control panel. Free UK domain names. The account holders will be provided with a free domain name, a co.uk domain with provision to add more domain names in the future, if it becomes necessary. Personalised email: This offers you an email account that is in tune with the web address, thereby enabling your business to have a real professional look. This service is good for all types of mobile devices, laptops and also desktop PCs so that you are connected wherever you happen to be. Single click WordPress hosting: This service is available with the Business as well as Unlimited packages. This lets you install WordPress by means of a single click, enabling you to begin your site or blog in just a few minutes. Ultra-fast loading: Since 123Reg utilizes state-of-the-art hardware, you are assured of optimum performance and ultra-fast loading of the pages of your website. Besides, this can help your site achieve higher rankings in Google. User-friendly control panel: The powerful and easy to use control panel will make it effortless for the customers to get started. It features an intuitive interface that lets them handle every aspect of their websites, even for beginners. No Traffic limits or hidden costs: Since they offer unlimited bandwidth, a website can become very popular. Besides, you needn’t worry at all concerning hitting traffic limits or additional fees. High-end data centre: 123Reg maintains a highly secured data centre, and makes use of various 10 gigabit connections that provides access to all important internet exchanges. This means that the visitors to your site can enjoy optimum performance. 123Reg provides cloud-based hosting that offers lightning speed and unlimited bandwidth. Essentials: Offers features the essentials for your personal or community website at a cost of £2.49 per month. Business: Provides the power, flexibility, as well as support for all your business requirements in order to host your brochure-based website at £2.99 per month. Unlimited: Provides limitless power to highly demanding websites dealing with ecommerce as also related applications at £6.99 per month. Premium: Offering server level performance sans the admin, with 99.99 percent uptime SLA at £14.99 per month. The above rates are for the first year and carries Vat of 20 percent. All web hosting plans come with the necessary features to maintain your website and keep it up and running without any problems. The service offers you all the required tools to assist you to help your business grow. Their expert team is always available via chat, telephone, as well as ticket-based customer support, to offer you whatever help you may need as and when you need it. Besides, they also provide you with a lot of support articles that can let you find solutions to common problems, all by yourself.